The U.S. Federal Trade Commission (FTC) said it will allow Abbott’s $5.3 billion acquisition of Alere to proceed—in return for Alere divesting itself of two product lines and three facilities associated with them. Under a proposed consent order with the FTC, which had challenged the acquisition, Alere will sell its Epocal subsidiary and Epocal’s two facilities in Ottawa, Canada, to Siemens unit Siemens Healthineers. That deal—whose value was not disclosed—includes rights and assets associated with Epocal’s point-of-care blood gas testing systems. 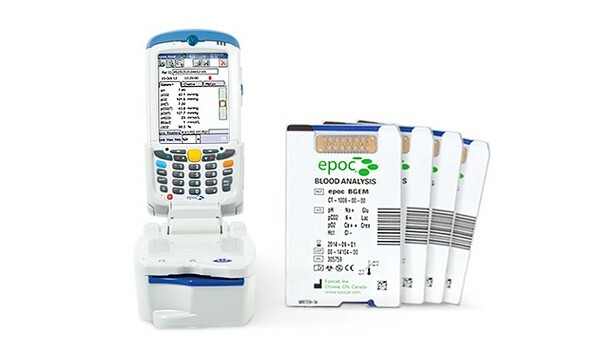 Among them is the epoc® Blood Analysis System, designed to enable users to measure blood gas, electrolytes and metabolites, within 30 seconds while staying at a patient’s bedside. The FTC will accept comments through October 30, after which it is expected to make the proposed consent order final. In an analysis of the divestment agreement made public yesterday, the FTC concluded that Alere’s handheld system will be “highly complementary” to Siemens’ portfolio in the United States,” which includes a benchtop blood gas testing system. “Siemens has the expertise, U.S. sales infrastructure, and resources to restore the competition that otherwise would have been lost pursuant to the proposed acquisition,” the FTC stated. The FTC also approved Alere’s planned sale to Quidel of the Triage® MeterPro cardiovascular and toxicology businesses, and Triage B-type Naturietic Peptide (BNP) assay business based on Beckman Coulter analyzers, as well as a San Diego facility associated with the businesses. Back in July, the companies said Quidel would pay $400 million for MeterPro and up to $40 million for the BNP business. Alere Triage MeterPro is designed to provide diagnostic results within 15 to 20 minutes, and offers up to 16 immunoassays in the U.S. and the ability to use whole blood, plasma, or urine. Alere Triage® BNP Test for the Beckman Coulter® Access Family of Immunoassay Systems is designed to aid in the diagnosis and assessment of chronic heart failure, as well as risk stratification of patients with heart failure and acute coronary syndrome. Quidel has said it believes MeterPro will complement its Sofia® installed base of instruments, providing the opportunity to expand into new, fast growing areas of point-of-care testing. The settlement requires Abbott and Alere to complete the divestitures to Siemens and Quidel no more than 30 days after the completion of their proposed acquisition deal. The divestitures include all related intellectual property, manufacturing technology, and confidential business information related to the blood gas and cardiac marker test. Abbott and Alere entered into divestiture talks after the FTC filed a complaint objecting to the companies’ deal on grounds that the combined company would harm competition in the U.S. by monopolizing point-of-care blood gas testing systems and point-of-care cardiac marker testing systems. According to the complaint, Abbott dominates the market for point-of-care blood gas testing systems in the U.S., commanding an approximately 82% share, with Alere its closest competitor with a 15% share. “While IDEXX Laboratories, Inc. and LifeHealth LLC offer single-use, portable (but not handheld) systems, they are more distant competitors to Abbott and Alere and maintain fringe positions in the market,” the FTC contended. For point-of-care cardiac marker testing systems, the complaint added, Abbott also holds a dominant market share of approximately 87%, followed by Alere with 13%. “The next closest competitor to the parties is Response Biomedical, which offers a more complex technology and accounts for only a nominal share of the market.” according to the FTC. Abbott and Alere announced their deal on February 1, 2016, as a $5.8 billion acquisition that Abbott chairman and CEO Miles D. White said would “create the world's premier point-of-care testing business and significantly strengthen and grow Abbott's diagnostics presence.” The deal would create for Abbott a broad point-of-care menu of infectious disease, molecular, cardiometabolic, and toxicology testing, as well as expand Abbott's platforms to include benchtop and rapid strip tests. Soon after the initial announcement, a decline in Alere’s value followed by Abbott’s attempt to end the deal touched off a year of legal wrangling by the companies. The companies resolved their litigation in April, amending their original agreement by allowing Abbott to slice $500 million from the purchase price. Abbott agreed to pay $51 per common share to acquire Alere, down from the original deal’s $56 per share. In addition to buying Alere, Abbott plans to acquire Alere’s $3 billion in debt, bringing the value of the deal to $8.3 billion.